The multipurpose radar target designation complex “Mineral-ME” provides long-range over-the-horizon detection of the surface targets, reception and processing surface situation data received from tactical group vessels, equipped with “Mineral” type complexes (systems), and also from aircraft and helicopters that transmit data using regular means of radio communication, develops and presents information on target coordinates to missile weapon of a vessel and tactical group vessels, provides guidance for joint combat actions. The complex represents multipurpose information-command-and-control system that operates using heterogeneous data detectors (active, passive, remote air and ship observation posts) within the limits of a unified information field and constitutes an independent mean of over-the-horizon target detection and designation. DELTA is modern mobile two-dimensional pulse coherent solid-state radar for surface and air surveillance with low probability interception of its electromagnetic radiation. It delivers in a fully automatic way the current coordinates of any target located within its area of detection. This mobile radar could be installed on transport vehicles (automobiles, armored personnel carriers, infantry combat vehicles etc.) which allows arrange its operation in uplands in order to assure necessary viewing conditions. DELTA analyzes the space in azimuth by the continuous rotation of its aerial system, which is mechanically driven. 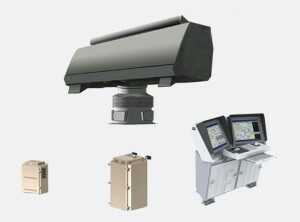 MAARS is multimode C-band acquisition radar for surveillance and weapon assignment. 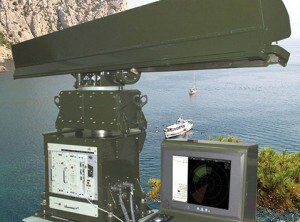 System performs automatic detection, track initiation and tracking of surface and air targets. Due to its modular design it can easily be adapted to a customer’s range, resolution and accuracy requirements using existing components. Due to flexible communication interfaces to the combat system or when netted to other sensors, MAARS is suitable for integration with a track management system. The system has multi-beam scanning strategies to satisfy the special requirements of stand-alone radars for corvettes, patrol vessels, minesweepers, minehunters or as the self defense radar on frigates. 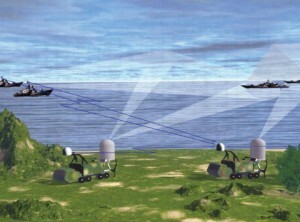 Specific radar applications are sea skimmer detection with target assignment for close-in weapon systems.